as name of the topic suggests, i am looking for T5 light bulbs from ATI to supplement my kessils in my marine tank. ATI lights are not available in India, even if you ship some it will need replacing every 6months.. so kinda pricey However Narva is available and most UK reefers use Narva inplace of ATI.. Kessils are fairly nice lights, supplementing them with more Kessils would be better IMO . 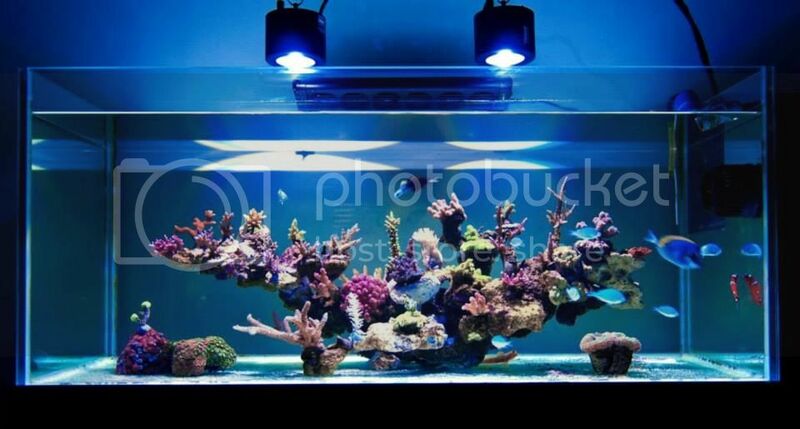 Here is Ricardo Prata's Kessil 350 lit tank..
reason for supplimenting kessils with is kessils lack in color spectrum. but i have bought Zetlight 6600 and now lets see what difference that can be done. Do you have any spectrum sheet for the Kessils? I could only find PAR from Sanjay Joshi's readings.